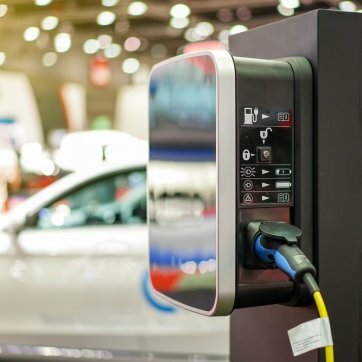 The challenges in this Open Innovation Call target how cities can introduce a drastically larger number of charging stations for electric cars in new parking garages without causing power shortage in the distribution grid. The solution should allow for as many charging stations as possible, with as low power outtake from the grid as possible. The solution should also allow the parking garage to be a flexibility provider for the distribution grid. It should be a user-friendly and environmentally excellent solution as well as an economic win-win situation for both the owner of the parking garage and the grid operator. The process is conducted as a procurement with a direct reward. In SCA, and beyond, the City of Malmö and its project partners City of Lund (Sweden) and Høje-Taastrup Municipality (Denmark), aim to introduce physical and virtual energy storage in cities, to make use of locally produced excess energy, and to avoid power peaks in the electricity grid. E.ON is a private energy company operating in several European countries. The Swedish headquarter is in Malmö, where E.ON is both the distribution grid operator as well as a provider of a wide range of energy solutions. There are two major trends that have significant impact on the background of the call. The first is the situation of the distribution grid, and the second is the rapid electrification of the transport sector. The distribution grid in southern Sweden is already facing major challenges. While cities like Malmö and Lund are growing rapidly, the regional power consumption far outgrows the production. The capacity available from the national transmission grid is limited and will not be expanded until 2027. When power peaks occur, the electricity consumption is exceeding the regional power grid subscription level towards the national transmission grid. The call therefore wants to find synergetic solutions that enable owners of parking garages to drastically increase the number of charging stations for electric cars in an economical sustainable way for both the owner of the parking garage and for the grid operator, and that the solution at the same time is in line with the city’s environmental goals. The process is conducted as a procurement with a direct award. The intention of the organizers is to, without prior publication, offer the winner a paid contract with Parkering Malmö. The aim is to implement the winning solution in the new parking garage in the Sege Park area, one of Malmö’s prioritized development areas until the year 2025. In total there will be up to 800 dwellings in Sege Park. Today, when Sege Park is to be developed, the ambitions within sustainability are high. The area is to be a “display window” and frontrunner in sustainable urban development. The sustainability strategy for Sege Park includes goals such as 100 % renewable energy for the area, local energy sources, smart electric grids, businesses in the area should have a sustainability focus, car traffic should be minimized, the culture heritage values should be kept, the biodiversity should be developed, all residents should have the possibility to do urban gardening, etc. 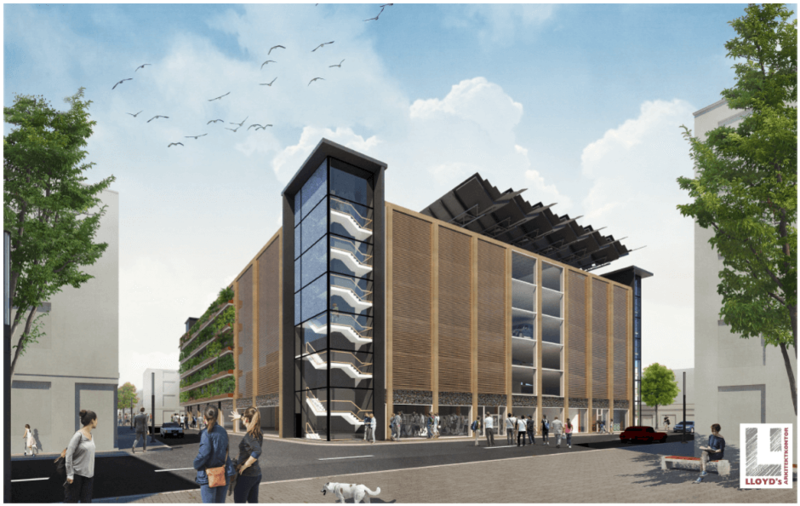 Parking Malmö, together with the City of Malmö, wants to take the lead when it comes to construction of sustainable and climate-smart buildings and has designated the parking garage in Sege Park as a pilot project for the next-generation parking garage. It will be built in a wooden construction, with concrete only in the foundation, and the facades will be covered in green plants. Rainwater from neighboring areas will be collected for watering of the green facades and stored in waterbeds when in excess. The garage will store around 600 cars whereof at least 15 will be carpooling cars. There will also be space for bikes, cargo bikes, electric bikes and scooters. Rental bikes from the Malmö by bike-concept will be in connection to the parking garage, as well as a bus stop for the Malmö Express Line No. 4, enabling combined mobility for both residents and commuters. 60 car parking spots with installed charging possibilities. Another 60 car parking spots prepared for charging possibilities. Approximately 300 m2 is available on ground floor for technical equipment. Approximately 2000 m2 PVs on the roof of the garage. Short-term physical storage possibilities for electricity (e.g. batteries). Long-term physical storage possibilities for electricity (e.g. hydrogen/fuel cell). DC instead of AC where applicable and convenient. Software solution to optimize the system. Financial model that benefits both Parkering Malmö and E.ON. The competition is an Open Innovation Process open for everyone who wants to share their ideas on how to drastically increase the number of charging stations in parking facilities without causing power shortage in the distribution grid, in accordance with the conditions of this call. The process runs in the following steps according to the timeline described further down. A webinar took take place on 4 March 2019. Listen to the recorded webinar here. All relevant ideas will be taken into consideration. There are no requirements as to how far the idea/proposal/product has been developed, i.e. also ideas taking some areas of the general challenges into consideration are welcome, as the call are looking for multiple ways to deal with the overall aim mentioned in the call text. Therefore, as part of the competition, the idea could be matured towards the finals. Groups/consortia with a constellation of competencies are expected to be most successful in this call. This, however, is in no way a requirement for participation. The competition is open to everyone regardless of background, experience, location or other factors. Applicants can participate alone or in groups, be private individuals or part of a company, organization, institution or through any kind of joint effort. What’s in it for the contestants/finalists and the winner? The finalists will have the opportunity to present their idea at Open Innovation Day held in Malmö, Sweden, on 12 April 2019. At this Open Innovation Day an expert jury will guide and assist the finalist for a final co-creation of the ideas and choose a winner for the Open Innovation Call. As a contestant, you will receive customized consultancy support, if you are chosen as a finalist for the Open Innovation Day following the Open Innovation Call. A network of specialist will be at your assistance to prepare the idea/proposal for the finals. Furthermore, validation and/or implementation of the proposal will be the utmost aim for both the organizing partners as well as the contestants, alas this cannot be promised beforehand. Additionally, participation may provide opportunities to engage with relevant stakeholders and potential customers and expand networks and knowledge about the theme at hand. There are plenty of parking companies and grid operators in cities around Europe in need of this kind of innovation. Hence, a potentially large market for the innovations and several possible co-partners or actors who wants to continue and perhaps further develop the design and the work done so far. Thus, the exposure for the finalists are also of great value. As the call is conducted as a procurement with a direct reward, the winner(s) of this Open Innovation Call will have the opportunity to negotiate a paid contract with Parkering Malmö and E.ON, worth up to 100 000 SEK, to further cooperate with the project management team with the projection of the energy solutions of the Sege Park parking garage. All proposals must be presented via the submission form on the website by 20 March, 12 noon CET, 2019. The report should be brief, maximum one A4-page, stating that each of the three criteria have been taken into consideration, explaining how this has contributed to the innovation/product and the innovation process and the expected impact of the innovation/product on sustainability. Submissions that are not sent via the submission form and/or without the sustainability report will not be considered. A maximum of five (5) selected finalists will be invited to a final pitch event (Open Innovation Day) in Malmö, Sweden, on 12 April 2019. Travel costs and accommodation for up to two members per selected finalist/team will be reimbursed by Climate-KIC in accordance with the terms and conditions provided. The winning proposal will receive professional advice and assistance by Climate-KIC on how best to progress with turning their idea into reality. Q: How do I get access to the presentation from the webinar on 4 March 2019? Q: What´s the Open Innovation Day about and when and where is it? A: The Open Innovation Day is the final event for the call. The finalist will get the opportunity to pitch their ideas for an expert jury and the audience and work in a co-creative process to further develop their ideas. The OI Day will take place in Malmö, Sweden, 12 April 2019. Q: Can we have another electricity source away from the parking house, and connect its transmission line to be used by the parking house by using the wheeling scheme, and the PV plant will be connected to the same grid of southern Sweden? A: Any electricity source used in the solutions needs to be located at least within the closest grid substation. However, there is absolutely no requirement that the garage is self-sufficient on electricity. What is important is that the power outtake in the garage does not contribute to any power peaks in the local grid. Q: Can we send the report as a mind map in A4-sized paper, or it should it be a A4 document? Q: Are there are any public busses going to charge at the parking? A: No, bus route no 4 will have a bus stop close to the garage but it will not be charging there. Q: Can we have another electricity source away from the parking , and connect its transmission line to be used by the parking? A: Any electricity source used in the solutions need to be located at least within the closest grid substation. However, there is absolutely no requirement that the garage is self-sufficient on electricity. What is important is that the power outtake in the garage does not contribute to any power peaks in the local grid. Q: Are there any budget limits? A: Yes, in reality there are. However, an expensive solution that provides a good long-term financial model will still be considered. This will be considered by the expert group making the selection of finalists as well as the jury selecting the winner. Q: Is DC Power for the Garage (utilities etc.) out of the question? A: No, DC where applicable and convenient is mentioned as a requirement in the competition manual. Q: Do you have requirement for fast charging? A: No, only normal charging is required. Semi-fast charging could be an option, as long as it is a good solution with respect to the described challenge. Q: Should the solution be open for vehicle-to-grid (V2G) functionality? A: It is not a requirement, but it is allowed. However, the parking garage is completely public and the solution should allow for any car parking at any parking spot. Q: Are you looking for short term or long term models? A: Both long term and short term models are welcome, but long term models are preferred. Q: Are there any physical limitations within the parking garage? A: Yes, they are described in the competition manual under “The challenge in Sege Park – technical specifications”.